At Omega Heating and Air, you’ll find a full array of services to meet all your HVAC needs at prices you can afford with quality that is unsurpassed! For example, did you know that the most important factor regarding the life span of your system is NOT necessarily the brand? What matters most is who installs it. There are certain specific steps that must be taken during the installation process, and you have to be able to trust that the company you choose will not take shortcuts on these procedures. This is exactly why you should choose Omega HVAC contractors. Omega Heating and Air, Inc., came into existence in 2002 with just two technicians and a vision for excellence. The original goal was always to build a heating and cooling company that provides service with integrity and expertise. We never push clients towards unnecessary repairs or replacements; instead, we guide each customer to the right solution with careful diagnosis and affordable options. Today, because of our focus on each customer, Omega Heating and Air has grown, serving customers in Conyers, Stockbridge, Hampton, McDonough, Roswell, GA, and is a substantial force in the Atlanta HVAC industry. Here are some of the reasons why. At Omega Heating and Air, we believe every client deserves high-quality equipment at affordable prices with reasonable finance options. We even have a Rent-To-Own program with no minimum credit score required. Seasonal discounts to seniors and military personnel are also available. Our goal is to provide each and every client with comfortable heating and cooling at a price they can afford, so we will work with you to craft a solution that will keep your home and your pocketbook comfortable. 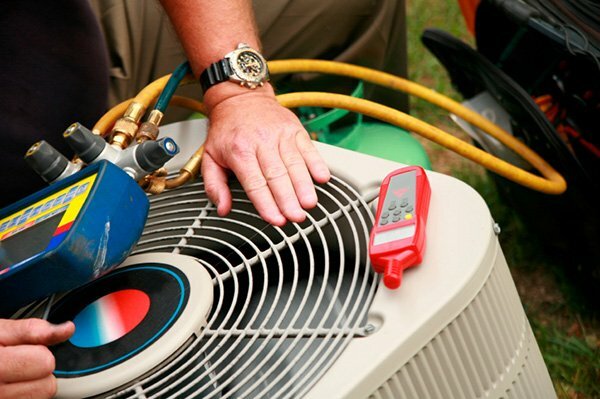 Every Omega Heating and Air Lead Technician has over 10 years of hands-on experience repairing and installing air conditioners, furnaces, and heat pumps. We are dedicated to completing your job not just to code requirements, but to the highest industry standards. Our crews go the extra mile to check and double check every detail to keep your equipment performing efficiently and effectively for as long as possible. You will receive professional, courteous, and expert service every time you call Omega. At Omega Heating and Air, your job is not over just because your service is complete. We remain committed after the sale with some of the strongest no-cost warranties in the industry! We have so much confidence in our work that, in certain cases, we offer a lifetime warranty. And, when you need help, we promise prompt response, with a technician usually on site within 24 hours.